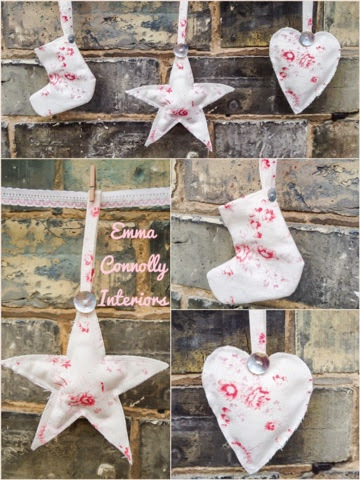 My pretty shabby chic, handmade decorations are now available to buy on the store. Shop link on the right of the blog. Cute little decks made by my own fair hands, in a pretty Kate Forman fabric, finished with mother of pearl buttons. Just £12.50 for a set of three with free p&p during October.